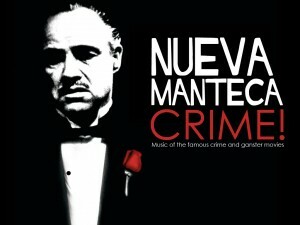 This September Nueva Manteca will release a new CD and DVD of the theater program ‘Crime’. Nueva Manteca lately recorded a concert in theater De Kloostertuin in Woerden. In this show they transformed the music of famous crime and gangster films into Afro Cuban Jazz. The name of the cd and dvd will be Crime. Surprising arrangements of familiar music.